Rediff.com » Business » The BMW Mini Countryman is here! BMW also unveiled its electric car i3s and hybrid vehicle i8 Roadster along with a slew of other top-end models at the Auto Expo 2018. 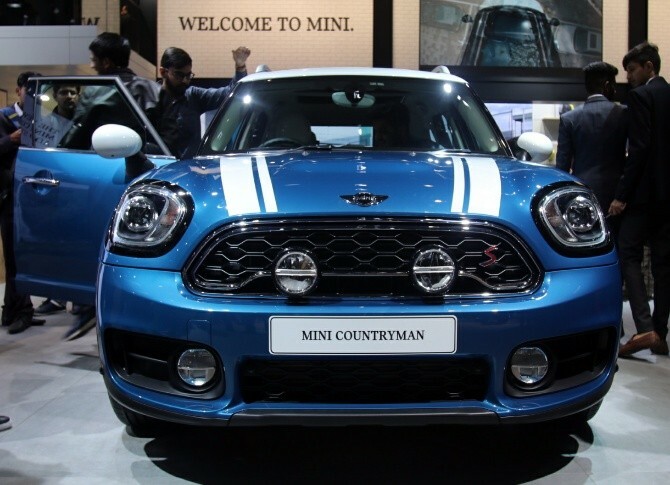 German luxury car maker BMW has unveiled its five-seater sports activity vehicle Mini Countryman at the Auto Expo 2018 in Greater Noida. The company would locally produce all three variants at its Chennai plant, a top official said. BMW has launched two petrol variants -- Mini Countryman Cooper S and Mini Countryman Cooper S JCW, besides one diesel trim Mini Countryman Cooper SD. "The second generation all new Countryman offers a unique combination of functionality, everyday practicality and long distance suitability," said BMW Group India president Vikram Pawah. Deliveries would begin from June 2018 and prices would be announced accordingly, the company said. BMW sold 431 units of Mini in India in 2017 and has registered 17 per cent growth. "Mini is the perfect fit for urban environment and has become a trailblazer success in the premium small car segment in India," Pawah said. On local production, he said that it was right step towards "localising Mini for India and pricing attractively for the customers". "In future we would keep reviewing all options for the long term," he added. Mini's petrol and diesel engines are powered by twin turbo technology. 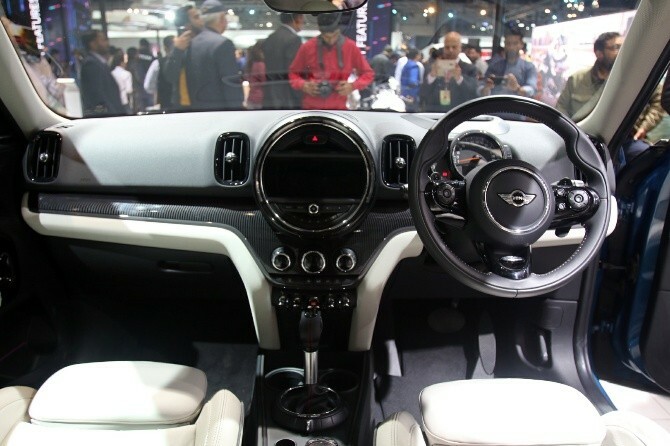 The Countryman Cooper S is powered by two-litre four-cylinder petrol engine while the Countryman Cooper SD has a four-cylinder diesel engine. This is the first time when all the three group companies -- BMW India, Mini and BMW Motorrad -- are participating in the Auto Expo. "This is the beginning of the new product offensive," he said, adding that BMW has registered a double digit growth despite several challenges. BMW Group India president Pawah said the i3s is aimed at the "new era of green mobility" and is designed to exceed the toughest demands of urban mobility. The i3s has an electric range of up to 280 km. "At present, the BMW Group India is contemplating the market feasibility of bringing the all new i3s to India. The Indian government has outlined a vision of e-mobility very clearly and they are rapidly moving towards full-electric at a really fast pace," he told reporters. He added that e-mobility is also the central pillar of BMW Group's future vision of the world. Pawah pointed that the plug-in hybrid electric vehicles is the first step towards the eventual move to complete electric mobility and the launch of the i8 Roadster is a step in that direction. The i8 Roadster, which is an open-top two-seater, will be launched in India later in 2018. Cricket icon Sachin Tendulkar launched BMW's 6 Series Gran Turismo Sports Line that will be priced at Rs 58.90 lakh (ex-showroom). The diesel version of the vehicle will be launched in the second half of the year. 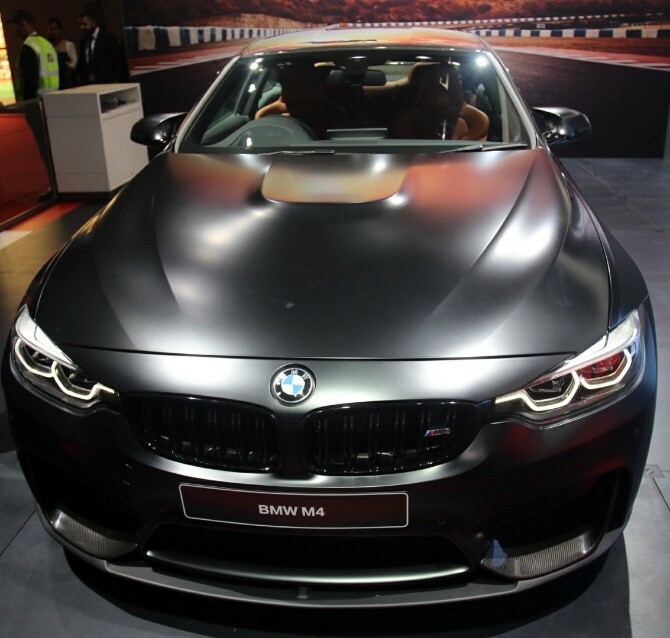 The German auto-maker also launched M5 that will carry a price tag of Rs 1,43,90,000 (ex-showroom). 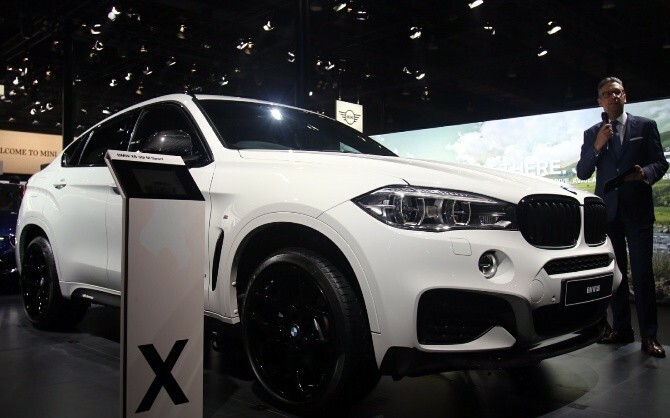 It also unveiled the X3 that will be launched in India later in the year. "Even though last year for the Indian automotive industry was full of challenges... but we successfully overcame these headwinds and registered double-digit growth," Pawah said. BMW India sold 9,379 units, clocking a growth of 25 per cent, he added. "We are very confident of continuing this momentum and our primary goal is to grow the luxury vehicle market in India," he said.